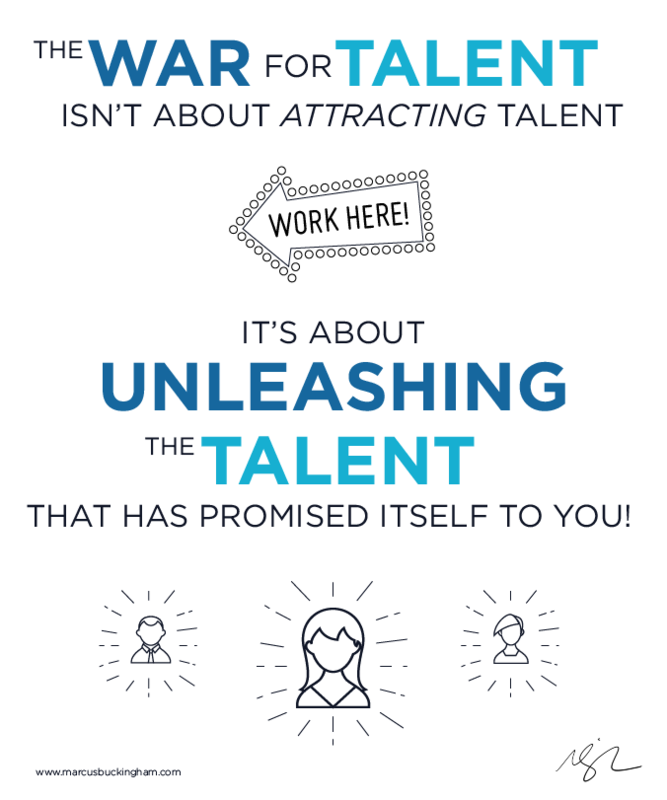 We’ve all been talking about the “war for talent” since at least as far back as 1997, when a McKinsey study proposed that attracting and keeping the best talent was the new battleground on which companies would struggle to compete. It’s obviously a metaphorical war, but as with all wars, there has been collateral damage. And not just the kind you might expect. Getting overzealous about this competition has cost several Silicon Valley companies, for instance, hundreds of millions of dollars in class action suits over anti-poaching practices. Of course we all want to be the kind of organization that attracts and keeps the best talent. But the real struggle isn’t about attracting talent; it’s about making the best, most beautiful and coherent use of the talent that has already promised itself to you. We have untapped talent sitting right in front of us. And we have to help each person figure out how to unleash the unique qualities, strengths, and contributions he or she has to offer. If you haven’t figured out how, in an intentional, systematic, and coherent way, to help your people contribute the best of themselves — in a way that makes them feel authentic and strong — then that’s the war you need to fight. You need to fight the war to develop your own people.